Aplia Econ Blog: News for Economics Students: Low Carbs, High Fat…High Prices? "One box will cost you $740, but if you don’t like it, you could try your luck with the Russian smuggler down the street." There are plenty of goods that might be sold based on discussions like that, but would you ever expect to hear that said about butter? Residents in Norway are currently facing a market like that, according to recent reports. A recent diet craze emphasizing high fat and low carbs has caused a change in Norwegian consumer preferences. Fads and trends will change the equilibrium price and quantity observed in a market by shifting the demand curve. In this case, the popular new diet increased the demand for butter (shifting the demand curve to the right), while leaving the supply curve unchanged. The standard supply and demand model says a rightward shift of the demand curve leads to an increase in the equilibrium price and quantity consumed. Both of those were observed in real life, as well. Nonetheless, changes in tastes rarely result in price fluctuations of this magnitude, so how do economists explain why the cost of butter went so high? We see increases (and decreases) in demand every day, but prices rarely swing so wildly. A closer look at the details sheds some light on the source: the government is preventing the free market from doing its work. As the Swedish Dairy Association (Svensk Mjölk) noted, Norway has “very restrictive trading policies, borderline protectionist.” That means that the Norwegian government’s policies make it very difficult (or even impossible) for foreign goods to enter the domestic market. Though the government does this in an effort to protect Norwegian producers, protective policies like those block markets from working efficiently. When a “shock” to supply or demand occurs (in this case, an increase in demand), protectionist policies prevent foreign producers from entering the market to capture new profits. Because the trend hit quickly, and the production time for agricultural goods isn’t exactly short (you can’t just go out and rent an extra 200 cows overnight), the Norwegian market for butter appears to be relatively inelastic in the short run (that is, even a small percentage change in the quantity supplied is associated with a large percentage change in price). If this trend in preferences continues, prices will remain high until producers have time to react by expanding their farms to accommodate more livestock, hire more workers, and install more processing equipment. Does that mean that Norwegian consumers are going to continue facing these brutal prices for the coming months? Only time will tell, but if prices persist, it would be a testament to a population stubborn enough (or wealthy enough) to stick to the latest trendy diet, and a government dedicated to hard-line international policies, even at the cost of its own citizens’ welfare. 1) A change in preferences isn’t the only way that the demand for a good can change. 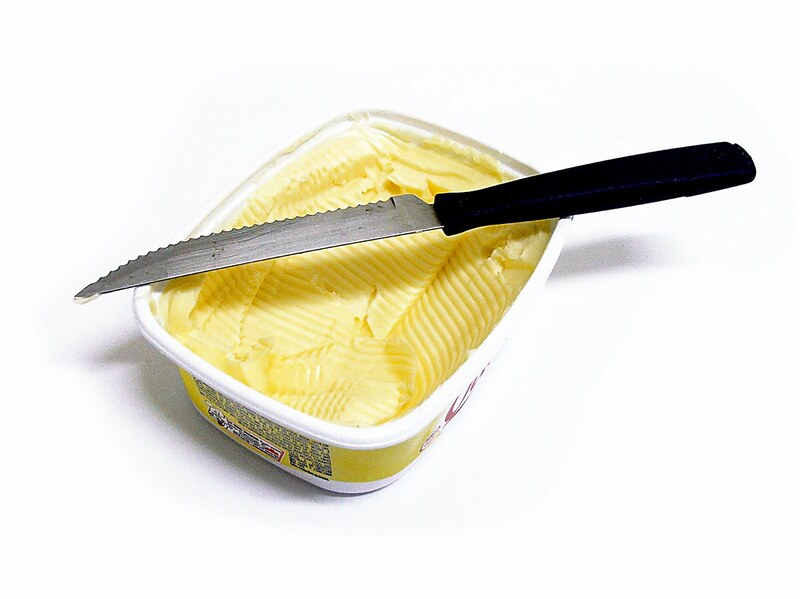 What are some other factors that could cause the demand for butter to increase? 2) Rather than demand returning to where it was (the end of interest in the fad diet), the equilibrium price of butter could also decrease if supply shifts. Which direction would the supply curve need to shift for that to happen? What would happen to the equilibrium quantity? What are some ways that the supply could shift in that direction? 3) Suppose the Norwegian government feels pressure to help lower butter prices. Propose a policy that would help lower prices in the market. Is there a policy that the government could use to generate revenue for itself while lowering the price of butter?